Department 13 (D13) has announced the first mobile prototype of its patented drone mitigation solution, MESMER, which was launched at Land Forces in Adelaide, in conjunction with Thales Group. MESMER software has been integrated into the Thales Bushmaster vehicle to produce the first robust mobile MESMER unit, aimed at deployment by military forces. D13’s MESMER is a counter drone system that provides a safe and effective method of protecting personnel and infrastructure from dangerous drones. D13 has been working with Thales to develop the system and by integrating the prototype into the Bushmaster MESMER can, for the first time, be operated from a mobile vehicle as well as acting as a standalone fixed system. Thales is a France-based global provider of aerospace, space, security, defence and ground transportation solutions. 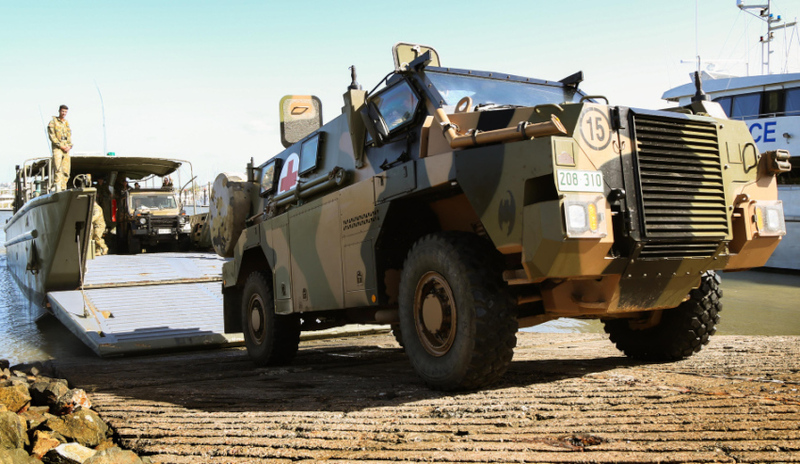 Currently exported to seven separate countries, the Bushmaster is predominantly utilised as a troop carrier, weapons deployment vehicle, ambulance, patrol or support vehicle. MESMER software operates on the Bushmaster’s Electronic Warfare Platform, which is one of the additional mission systems equipment and integration capabilities that Thales offers within the Bushmaster. Jonathan Hunter, chairman and CEO of D13, said, "I am very pleased to be able to announce the integration of MESMER onto a mobile platform. This comes as the result of a collaborative effort, with D13, EPE and Thales Australia, and highlights the flexibility of the MESMER software and its ability to quickly integrate into existing software and hardware platforms." MESMER is a unique and patented drone mitigation solution. It is low power, non-jamming, non-line of sight, and non-kinetic. MESMER provides a safe and effective method of protecting personnel and infrastructure from dangerous drones. The key differentiator for MESMER is its ability to manipulate weaknesses in all digital radio protocols. This allows MESMER to execute sophisticated automated detection and mitigation strategies that stop, redirect, land or take control of drones across a range of national security and defence scenarios. MESMER's patented technology is built on open source software architecture. This ensures that MESMER can be seamlessly integrated into existing security and surveillance systems. An RF front end that provides signal conditioning on both receive and transmit channels, and that allows MESMER to perform optimally in a real-world environment. D13 was founded in 2010 by a team of former military operators, scientists and engineers who apply proprietary innovative advanced technology to emerging requirements. D13 is developing cutting-edge software and communication systems that have the potential to transform the networking and communication fields as well as current applications in drone defence, mobile phone IT security and secure enhanced Android phone systems.